After recently being told we were expect twins, finding cheap diapers went from being important to being extremely important. Even if you are just having one baby, diaper can be very expensive. Finding the cheapest diapers online can save you big in the long run. Just because a diaper costs more money, doesn’t mean it is better. First, you have to decide whether you are willing to put the effort into cloth diapers, which can save tons of money in the long run, as well as they are better for the environment, or the choice of many parents, disposable diapers. I can’t really say which is the better choice, but if you have the time and you are going for cheap diapers, my suggestion is go with cloth. They do require some extra work and extra laundry, but they make flush-able liners for them now so the mess is much less than they used to be. Also they are much more stylish then the disposable diapers. If you take the time to plan ahead and order your cloth diapers from Japanese sellers on ebay, you can save lots of money. They do take about a month or longer to get to the States, but the money you will save is well worth it. You are looking at spending between six or seven dollars for a diaper and insert, verses twenty to thirty dollars if you purchase the diapers new in the United States. For preemie diapers, if you need them, an amazing seller on ebay is two92. They are actually a US seller, though the diapers do come from Japan. You can search two92 or simply search preemie cloth diaper. They have a store that will be opening soon at epttababy.com. They also offer cheap cloth diapers for normal size babies; however, you can find them cheaper if you order directly from Japan. Sweethomeandshine1 is a Japanese seller that does sell cheap cloth diapers. They are very good quality and have inserts that are soft and will not hurt or scratch your baby’s bottom. You can also search Cloth Diapers online at ebay.com and easily find other sellers that ship from Japan and offer cheap, affordable diapers. FERVENT LOVE offers cheap cloth diapers online at Amazon.com. They do ship from Japan, so expect a three to five week delay. The cloth diapers are colorful and also come with inserts. You can pick the styles that you want. The diapers are adjustable and you should be able to use them from birth through potty training, unless you deliver a preemie. I recently ordered several different times from this seller and was very pleased with the delivery time and the product quality. The diapers are very stylish and have snaps to change the size. They are very easy to use and come with instructions. You can search Cloth Diapers online at Amazon.com for other sellers. This is just the one I had the best luck with. If cloth diapers are not for you, then another online venue for finding cheap diapers is to bookmark mojosavings.com. This site is a great place to find cheap and free stuff. They often show you how to get disposable diapers at stores like Walgreens, CVS, Target and Walmart, for very cheap prices. I check this site every day and print any necessary coupons. They will tell you step by step what to buy and what the final price will be. I was recently able to purchase four large packages of pull up diapers by Huggies for less than twelve dollars. 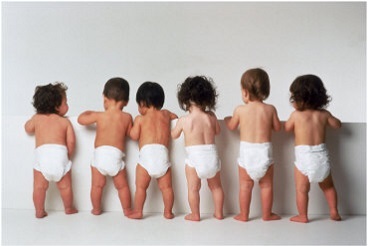 No matter which type of diaper you choose, finding cheap diapers online is possible. It does take a little work, but it will save you in the long run. 0 Responses to "Finding Cheap Diapers Online"